If you guessed Sicily, then you are correct! 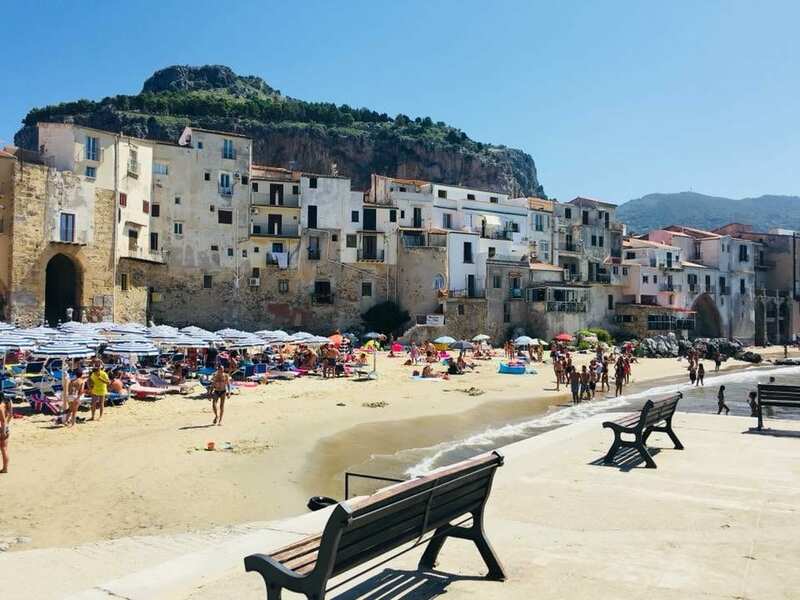 Our travel expert Teresa Kopietz took this photo in Cefalù, a popular tourist resort town on Sicily’s northern coast, beside the Tyrrhenian Sea. 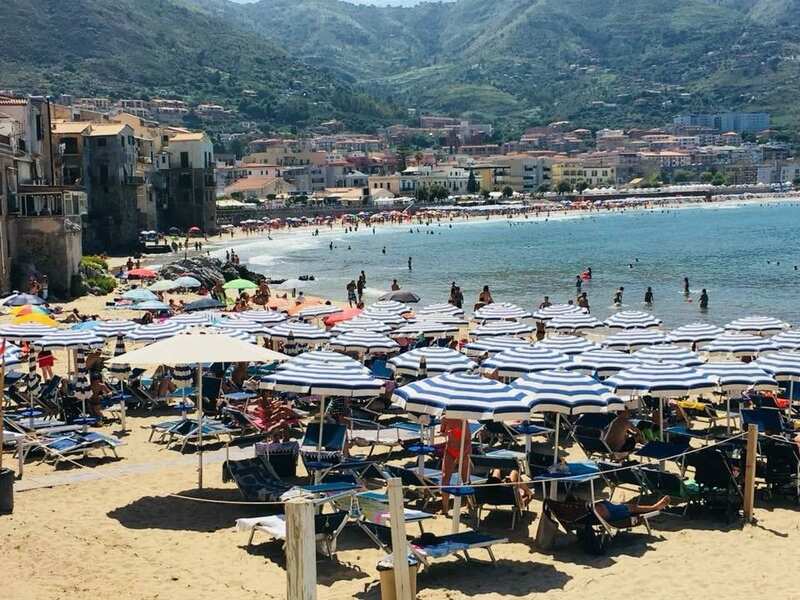 Cefalù, pronounced chef-a-loo, with a stress on the accented last syllable, offers gorgeous sunsets, a sandy beach (pictured above), and a charming old town. 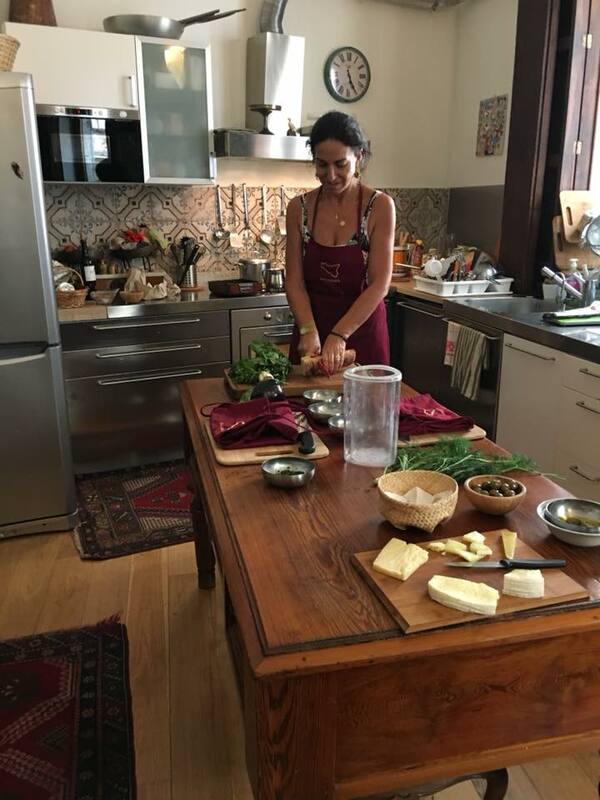 Check out all of the other cities that Teresa visited during her time in Sicily, below. Castelbuono is a hidden gem of a medieval village. It is near the beach town of Cefalù. Inside it’s castle, Ventimiglia, is a relic of St. Anne (Mary’s mother). Their first stop in Sicily was the city of Catania. Here they stayed at the Katane Palace Hotel. 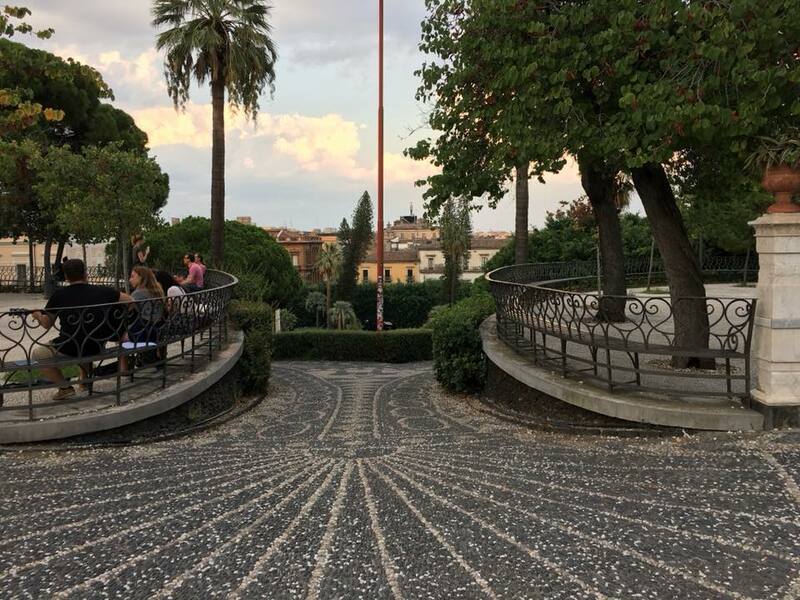 Catania is full of street markets, great food, and a great nightlife scene. Mount Etna offers gorgeous views. Catania is the island’s second largest city after Palermo. The Baroque architecture style found in the city’s grandiose square and throughout much of the city is stunning. Noto is a small, quaint village and Siracusa is a nearby seaside town, pictured above. Noto is similar in design to Catania, with Baroque architecture and influence. In fact, it is sometimes called the “Capital of Baroque”. It is home to one of the country’s most stunning historic centers. Don’t leave without visiting Corso Vittorio Emanuele. This elegant walkway is full of beautiful churches and buildings. 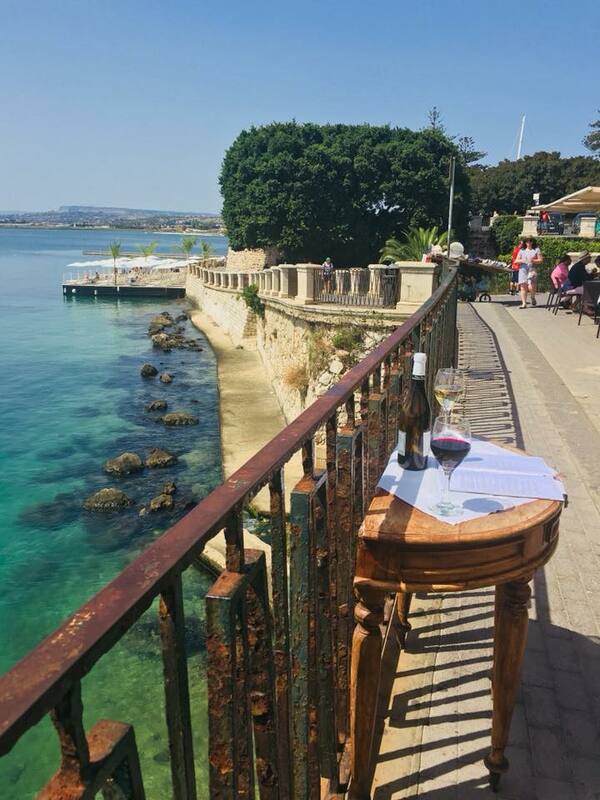 In Siracuse, you’ll find Ancient Greek ruins, lush citrus orchards, quaint Sicilian cafes and coffee shops, and more. The best part is the sparkling blue sea at it’s base. The ruins found here are one of Sicily’s greatest archaeological sites. You should make some time to travel across the water from the mainland to Ortygia. 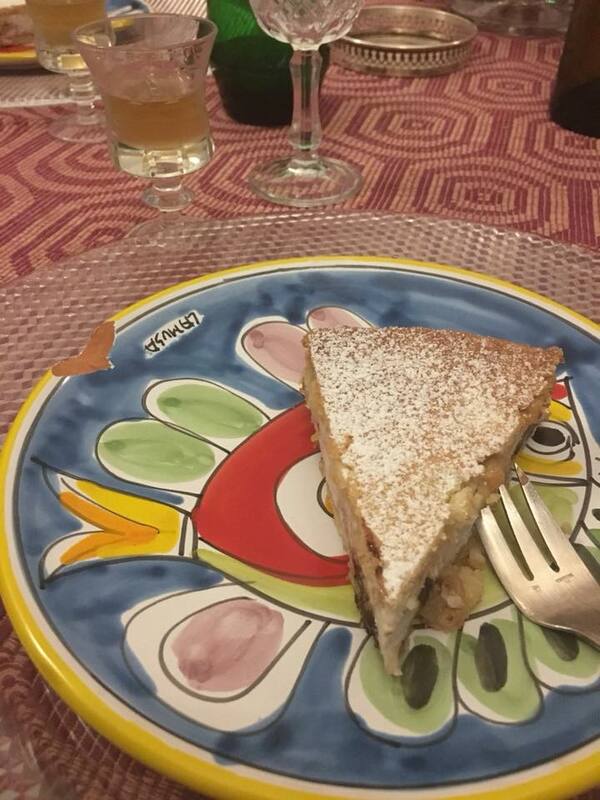 Teresa’s grandparents are originally from the towns of Lentini and Carlentini in Sicily. Lentini is situated between Catania and Syracusa. 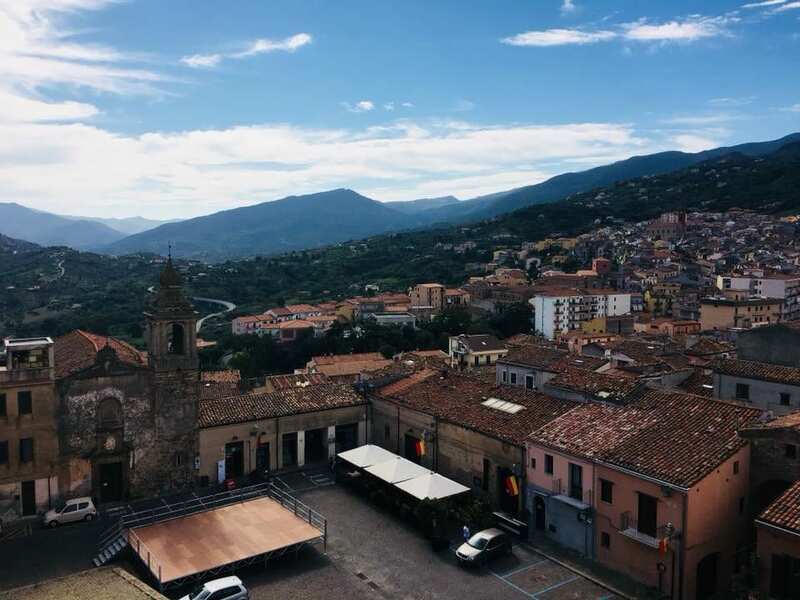 You should start your exploration of Lentini at the Piazza del Duomo, where you’ll find the Mother Church dedicated to Santa Maria La Cava and Saint Alfio. 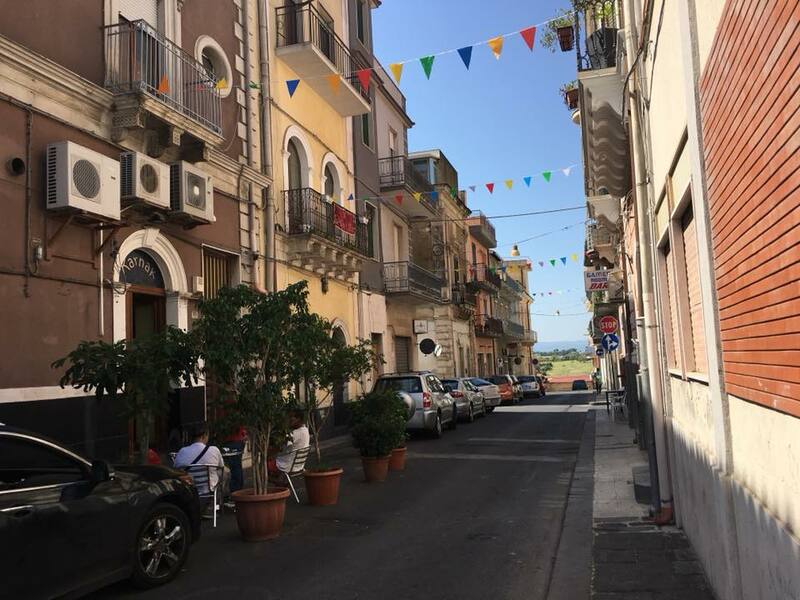 In addition, Teresa visited the town of Carlentini. Carlentini is home to a beautiful city center itself, which is known for its precious mosaics. Most notably, you should see the street Mosaic of Via Nazionale, considered the largest mosaic in the world at 600 square meters. This is another great city to admire the typical Sicilian Baroque style. They took a tour of Mount Etna and Isola Bella-Taormina. Mount Etna is the largest volcano in Europe. In addition, it is one of the most active volcanoes in the world. It is located on the northeastern edge of Sicily. 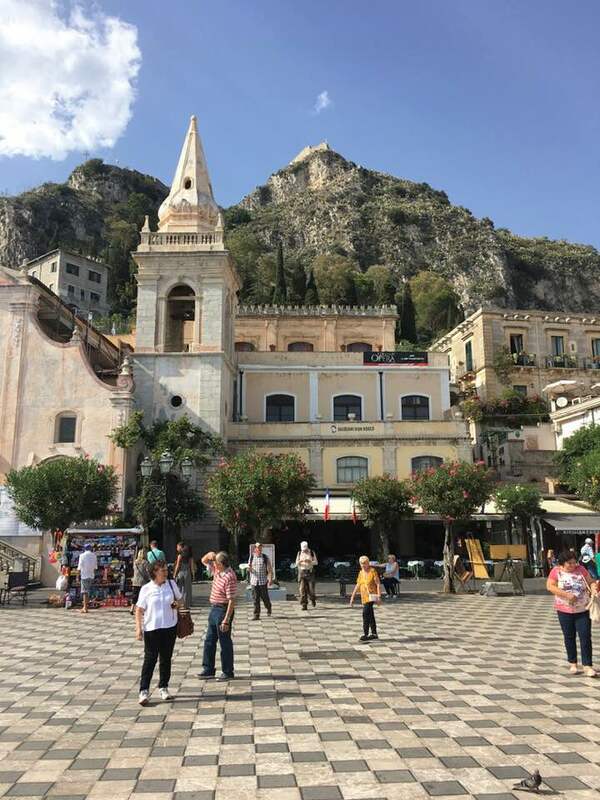 You’ll be able to see an amazing view of the volcano in Isola Bella-Taormina. Malta is British influenced, so there is no language barrier here for Americans. The city, known as “the country next door” to Sicilians, is actually located just below Sicily. Spend a handful of days here, or make a stop here on a cruise. 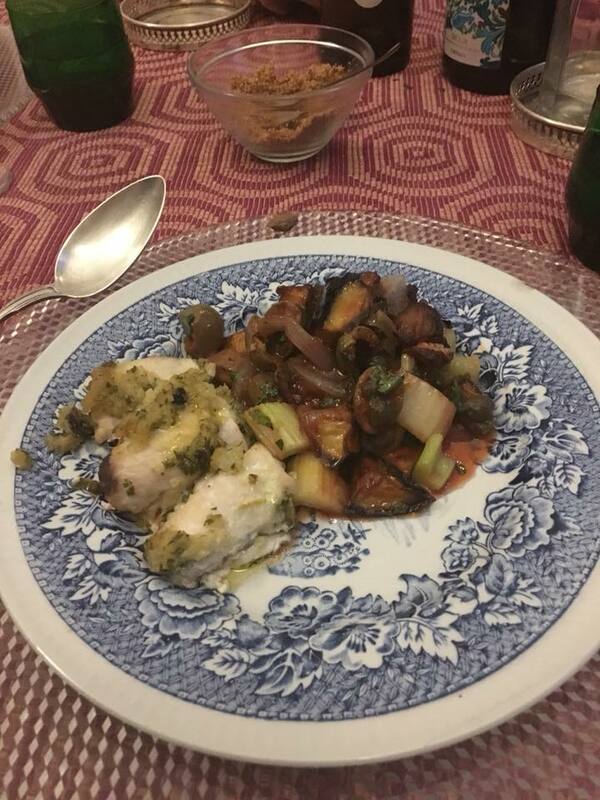 The food here is spectacular and unique, with influences from Italy, Spain and Morocco, just to name a few. 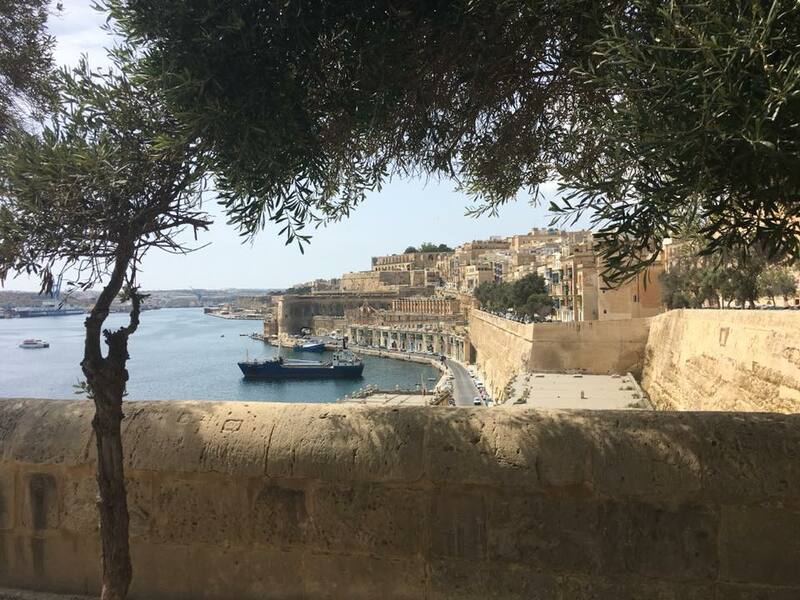 History buffs won’t want to miss sites like Valletta, the capital overlooking Malta’s Grand Harbour. This is the site of the Great Siege. In addition, visit the Lascaris War Rooms, where you’ll find an ancient command center. In addition, explore the connected networks of tunnels which date back to World War II. These tunnels provided security from constant air attacks from Germany and Italy. 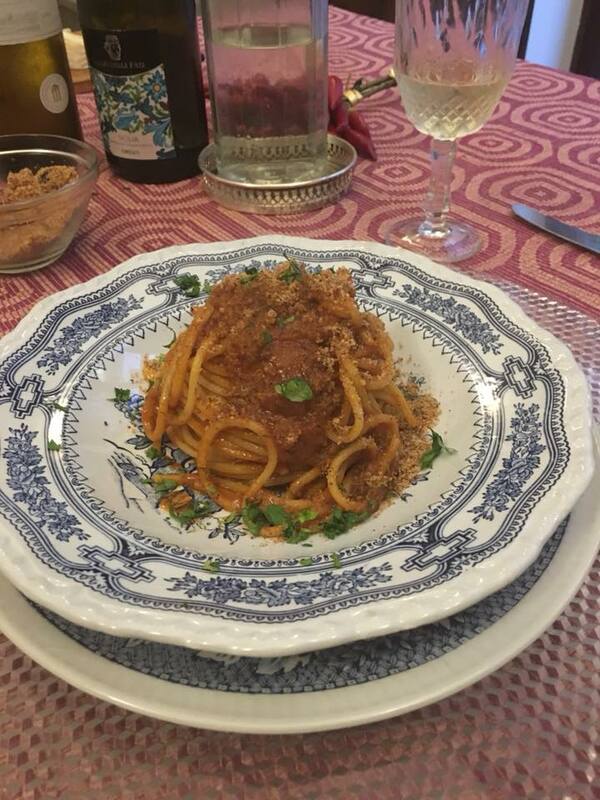 Call us today in order to book your own Sicilian getaway. You can reach us at 402-281-3022. In addition, you can get started here.